1. The Republic of Côte d’Ivoire recognises the juridical personality of the “International Foundation of Our Lady of Peace of Yamoussoukro”, established and instituted by the Sovereign Pontiff with a canonical and civil personality in the State of the Vatican City. 2. The Republic of Côte d’Ivoire recognises as a consequence the Foundation’s ability to make contracts, to acquire moveable and immoveable goods, to dispose of them and to plead a case in court. 1. The foundation is governed by its own statutes approved by the Holy See. 2. These statutes determine the aim, the inheritance, the administration of funds, and the balance of the Foundation relative to the activities and the administration of the Basilica and of the works which may be freely associated with it: medical centre, radio broadcasting station, university and other possible eventualities. 1. The legal seat of the Foundation is fixed in the State of the Vatican City. Its administrative seat is established at Yamoussoukro. 2. The Foundation has at its disposal the land prescribed by the Act of donation and the establishments which are currently there or shall be established on it. In the future it may acquire other property needed for its activities. With regard to the installation of the station and the broadcasting of radio and television the Foundation will conform to the provisions of the Agreement between the Holy See and the Republic of Côte d’Ivoire concerning the radio transmission stations concluded at Abidjan, the 14th of August 1989. 1. The Ivorian Government grants the Foundation full liberty to follow its institutional aims. 2. In order to facilitate the fulfillment of its mission, it grants the Foundation the exemptions and immunities in the articles that follow. 1. The premises of the foundation and its establishments are inviolable. 2. The Ivorian Government will take all appropriate measures to prevent the premises being usurped or damaged, the income of the Foundation interrupted or its dignity diminished. 3. The premises, chattels and possessions of the foundation and of its establishments may not be subjected to being searched, requisitioned, confiscated or expropriated, nor to seizure or compulsory measures. 4. The authorities, functionaries or agents of the Republic of Côte d’Ivoire may enter therein, in order to exercise their official functions, only with the consent or at the request of the president of the Administrative Council of the Foundation. 5. The premises of the Foundation shall not be used in a manner incompatible with the mission of the Foundation, as it is set forth in the statutes. 6. The Foundation will not permit the premises to serve as refuge for anyone sought in connection with a crime or subject to an arrest warrant or an expulsion order. 1. The Foundation enjoys exemption from penal, civil and administrative jurisdiction. 2. The members of the Administrative Council, the Secretary General and all personnel of the Foundation acting in that capacity may not be prosecuted for acts carried out while exercising their functions. 3. At the request of the competent Ivorian Authorities, the Foundation will consent to lift the immunity accorded to one of the beneficiaries if this risks harming the course of justice and if this suspension can take place without prejudice to the interests of the Foundation. The archives and documents of the Foundation are inviolable at all times and in whatever place they are to be found, except in the case set forth in Article 6. 1. The Foundation, its revenues, its chattels and other possessions are exempt from all direct taxes and from national, regional and municipal taxes, except service taxes. 2. To be considered as taxes administered as remuneration for services rendered [are] taxes for sweeping, for sewer connection, for the removal of refuse and for the airport. The acquisition of property for the needs of the Foundation is exempted from land registration duty, by the registry office, by mortgage fees and by stamp duty, except for the salary of the curator. The President, the other members of the Administrative Council, the functionaries and the employees of the Foundation who are not nationals of the Republic of Côte d’Ivoire are exempt from all duties on salaries, fees and allowances received for the performance of their duties. 1. The foundation is exempt from all taxes and customs excise duty for importing a reasonable quantity of objects meant for its official use. 2. The objects thus imported may only be sold in the Côte d’Ivoire in accordance with conditions stipulated by the Government. 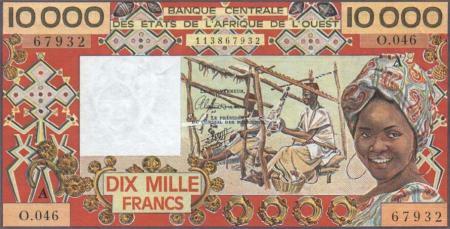 According to Article 13, “Francs CFA” may be transferred within the country (and other funds may be sent abroad....) “CFA” formerly meant the currency of “Colonies françaises d'Afrique", but since their independence soon after 1960, it stands for the “Communauté financière d'Afrique”. 2. 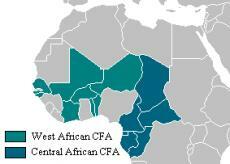 To transfer Francs CFA within the territory of the Republic of Côte d’Ivoire and currency in countries outside the Franc zone and conversely. The foundation will cooperate with the Ivorian Authorities with a view to assure respect for the laws of the Republic and to avoid all possible abuse which could be occasioned by the exemptions and immunities provided for in the preceding articles. 1. The text of this Agreement may be modified with mutual agreement, on the initiative of one or the other of the contracting parties. 2. Any differences about its interpretation or its application will be amicably resolved between the Holy See and the Republic of Côte d’Ivoire. The present Agreement comes into force on the date of the signing. The present Agreement will be deposited in duplicate identical French copies with the Secretariat of State of the Holy See and with the Minister of Foreign Affairs of the Republic of Côte d’Ivoire. * Francs CFA, formerly meant the currency of "colonies françaises d'Afrique", but since independence, the currency of the "communauté financière d'Afrique". The 10,000 Franc banknote (P-109Aj) pictured here is from 1977-92.